Dagmar wearing "Spatterdashette" in "neckerchief" size. You can find Dagmar here on Ravelry. Everywhere. Inside my head. Outside, in nature. In other people's clothes. In stitch pattern books. I also find it inspiring to look at other people's designs. Of course this does not at all mean that I copy them. I usually get completely different ideas when browsing patterns, which don't seem to have any connection to what I was looking at. It just seems to set the creative process into motion! For stitch patterns I love textured stitches. 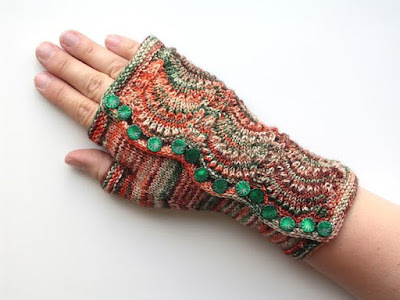 Mainly because I like them so much - but also because I am really struggling with knitting stranded colourwork... One texture I have been working with a lot is ribbing with twisted knit stitches. It looks a lot neater than plain ribbing, gives great stitch definition and is very stretchy, for a good fit. In terms of shaping techniques, I am very partial to the Asymmetrical Thumb Gusset for my glove designs. It has increases only on the palm side. 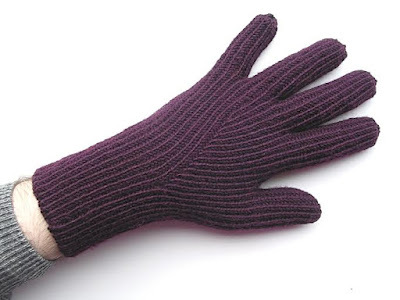 The back of the glove is undisturbed by increases, so that the stitch pattern can run right across it. I think that looks great! 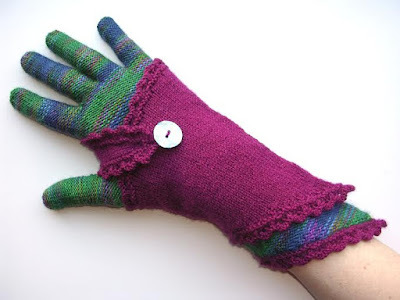 The other advantage is that it fits most hands: It's neither as wide as the commonly used thumb gusset (with increases on both sides), nor as narrow as a peasant/afterthought thumb. Also available with fingers. Another, ribbed cuff option is given in the pattern. 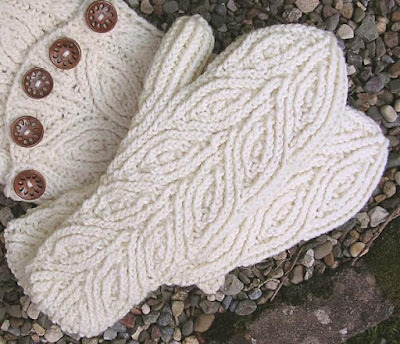 I specialize in glove and mittens patterns (although I do other accessories too), and those are usually considered not to need sizing. 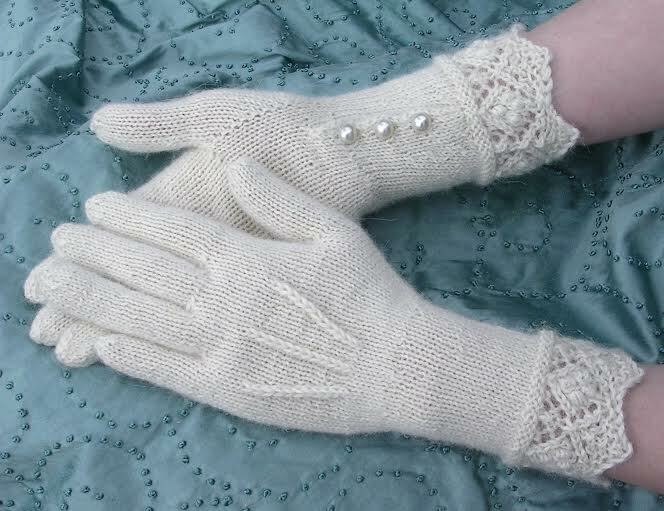 Having knitted plenty of gloves, and studied a lot of hands, I very much disagree! Hands differ as much in size and shape as the rest of the body, and therefore gloves need sizes, plus the possibility to change the length/width relation. 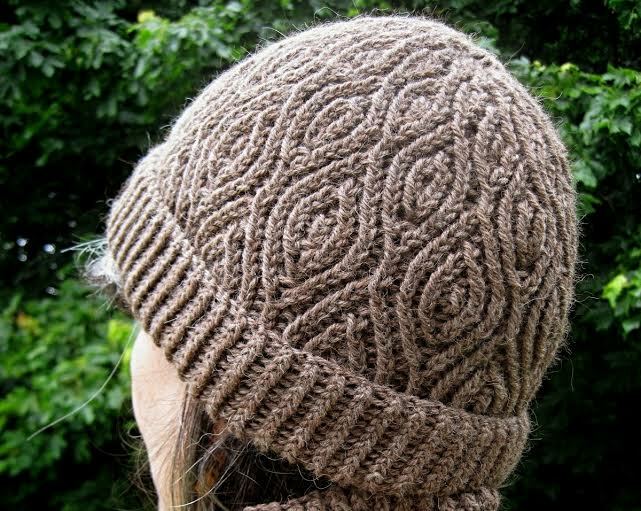 How many sizes I can include depends on the stitch pattern I use, and of course whether it's for women, men or both. If possible, I like to have seven sizes ranging from Women's XS to Men's XL - that is from 17cm/6 3/4" hand circumference to 24cm/9 1/2". My His and Hers Gloves are an example of this size range. I have to look at them, to find patterns to knit for leisure! There is nothing more relaxing than knitting from somebody else's pattern, without having to think! I allow myself this luxury on holiday or at weekends. I don't believe that you can ever completely block out influences from other people's designs anyway. Ideas don't come out of the air. We are always influenced by all the things we have seen during our life, including other designer's work. And we all have been looking at those ever since we learnt knitting! So no, I am not afraid of looking at them. 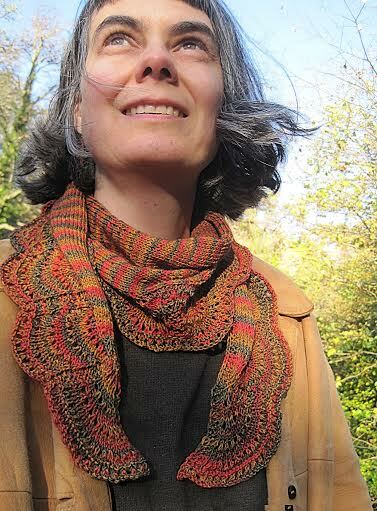 Free pattern, published in Knitty. Usually I knit the samples myself. But I have used a sample knitter for a few designs, including one in stranded colourwork (see above: not my strength!). As for test knitters, I test in the Free Pattern Testers group on ravelry.com. There, I draw from a big pool of testers, so the answer is: loads! I sometimes feel bad about not paying them. But if I used paid test knitters, I could maybe afford one of the - let's say seven - sizes tested once. In the Free Pattern Testers group I can have each size tested by two to three testers. This improves my patterns greatly, and benefits the customer. And the volunteer test knitters seem to enjoy the testing process very much. They are very good too! Erm - I should, shouldn't I? But no, I don't. 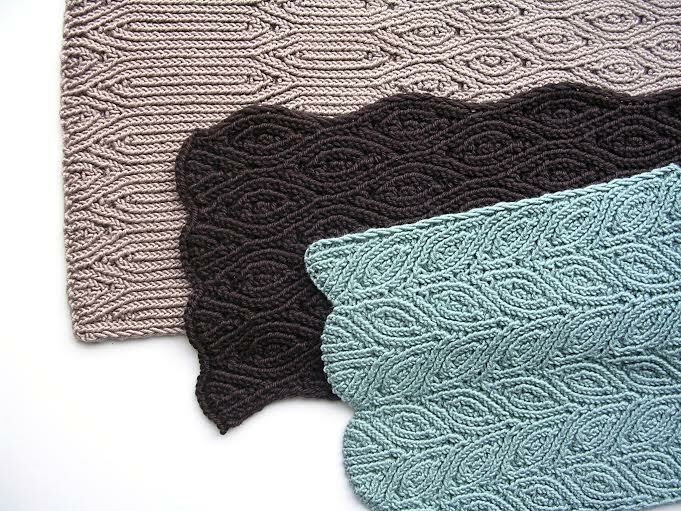 Matching cowl (Rowan Cowl) or scarf (Three Almond Scarves) available. No, I never had a mentor. It would have been nice to have had one in the first year or two! All "Rowan" and "Almond" patterns are included in "The Almond Collection". I choose the type of work I do according to what fits into my circumstances. Eg, I don't do patterns for magazines (one "knitty" pattern being an exception), as I wouldn't be able to cope with the deadlines very well. Especially since you usually don't know the dates in advance. I have been working for a wool club and a small yarn company though. They approached me for designs, and were able to tell me in advance, when I would receive the yarn support, and how much time I had from there. That made it a lot easier to decide, whether I can do it. Self-publishing is of course the most flexible of all design work, and therefore my favourite choice. Some of it I try to forget. Some of it makes sense and helps me to improve my future patterns. I don't, not after six years of designing. Having said that, I have never during that period worked full time on the designs. So I never expected to earn a whole living. I am not the main bread winner of the family. But it's really nice to contribute something to the household finances, even if it isn't much. I cannot give advice to people aiming for knitting related career's other than designing/pattern writing. For designers: Keep it simple! As a new designer one tends to over-complicate designs. Recently I have been doing a lot of patterns for accessories other than gloves or mittens, and the one currently in progress is a scarf too. 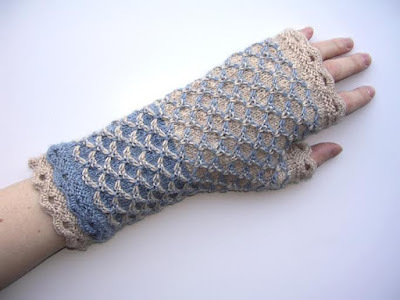 Next, I definitely want to design gloves again. Lots of them. I miss them. the elbow length version of these.